Three Team VA Pro Alumni Team Up For World #3 4x400! Three Virginia alumni all teamed up for the win this weekend at the Florida Relays. The three athletes teaming up on this World #3 (3:03.00) 4x400 were Noah Lyles, Josephus Lyles, and David Verburg. All three athletes ran for adidas, their professional sponsor, and certainly made them look like they have some strong young talent in their ranks. 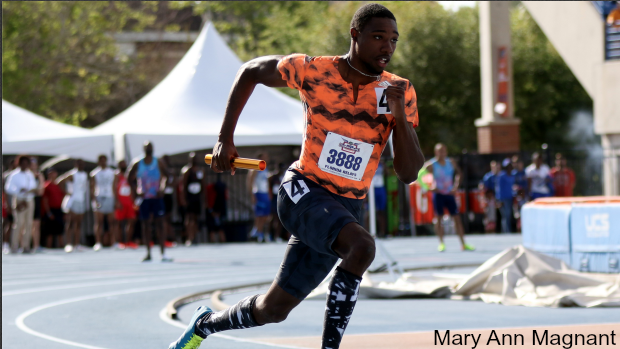 Noah Lyles led off and handed off to his younger brother Josephus. The Lyles duo split 1:32.38 for the first 800. David Verburg ran third and split 45.57. Tony McQuay anchored the team in 45.05 for the win.